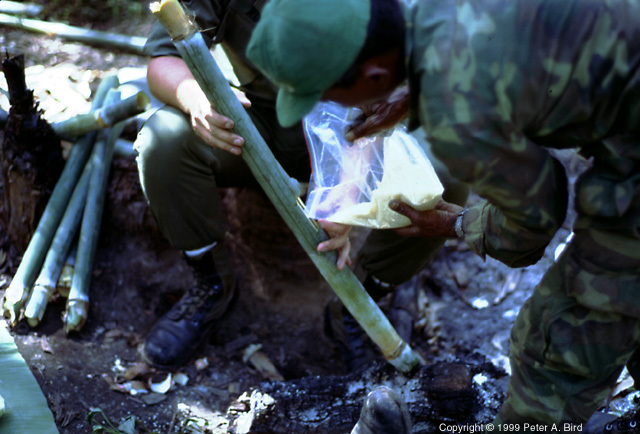 This photo shows a piece of green bamboo being used as a cooking vessel for rice. By cutting a little "trap door" in the side of the piece of bamboo, a quantity of rice could be poured in. Water was then added in the correct proportion and the trap door was replaced.